Some of the actors and actresses appeared in both the 1965 and 1972 episodes but either played different family members or were unnamed in the earlier episode…. The episode had the talents of George A.Cooper, Rita Webb, Mollie Sugden and Queenie Watts who helped flesh out the family…. The episode begins with Albert receiving a letter about the death of his older brother George, Harold on his return from the rounds seems a bit taken aback by this news as he didn’t know this Uncle even though he was apparently his GODFATHER! The scenes prior to the “internment” showed the avarice and greed the family were well known for as they all looked forward to their “cut” of the will after the internment…. 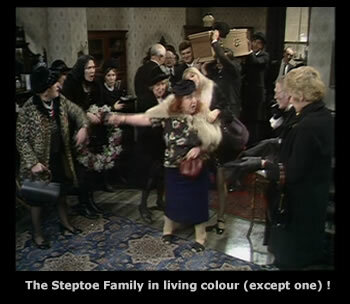 Has George a surprise for the Steptoe family? And can Albert get back the £25 that he leant to him in 1925 to start a new life in Australia? 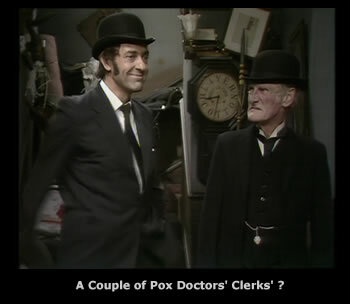 When you buy this DVD you'll get to meet all of the Steptoe family at their very worse. Albert top them all of course.